Woof! Where’s the fun if you can’t take the whole family (including the four-legged members) on hols with you? Here are the 38 most lovely dog-friendly hotels, inns and cottages in the UK across 18 counties from Northants to Cornwall. No need to thank me, just bring me my slippers and newspaper and sit at my feet for the evening. Leave your fur baby at home? You must be barking mad! Thank god for Bray Cottages in the foodie enclave of Bray – all the space of a self-catering property with all the luxury of a boutique hotel. 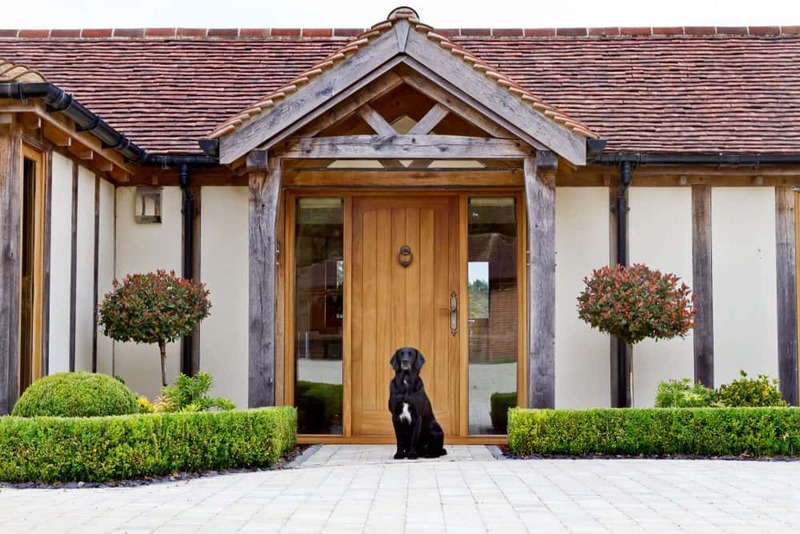 Just 50 minutes from London and 10 minutes from Windsor, Bray Cottages has a range of one to three bedroom properties that are beautifully furnished and finished, with a concierge service to your stay really special for you and your dog. Your pampered pooch will be provided with treats (you have a fully stocked bar and food hamper), comfy beds and cosy fires for them to enjoy – as well as the odd cuddle and somewhere to relax after a lovely long country walk! Need a dog sitter while you’re dining for 5 hours at The Fat Duck, Bray Cottages will sort it. Want to know the best walks? Done. Tail wagging guaranteed. Prices start at £325. If you and your dog insist on being treated like royalty, then book into the Royal Oak in Yattendon. 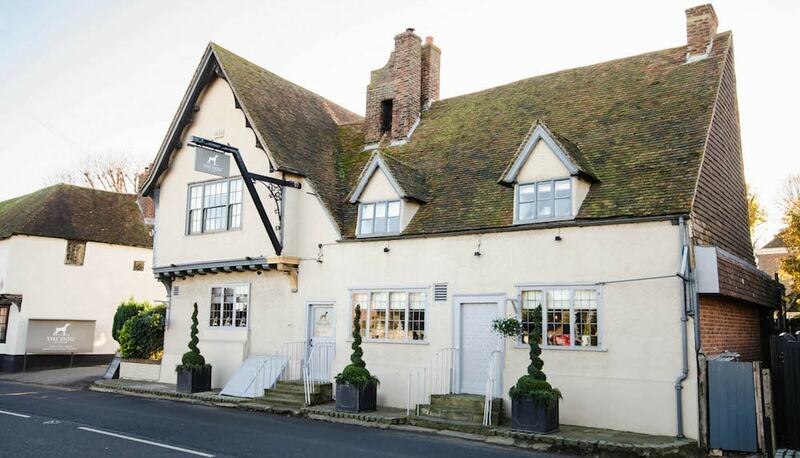 No favouritism here, even if you’re the Duke and Duchess of Cambridge, who have both been known to bend an elbow in this handsome inn – everyone’s welcome including your bow wow bessie mate. 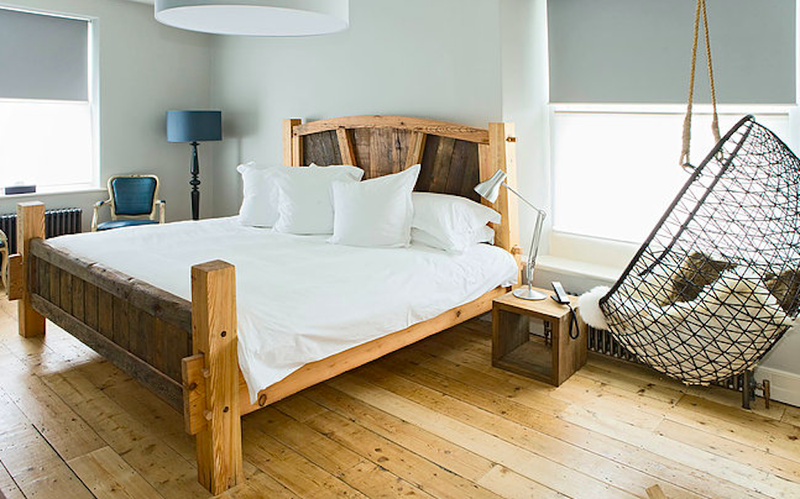 A Muddy Award winner for Best Boutique Stay, the Oak has 10 gorgeous modern rustic bedrooms all available for you and your four-legged friend. Bowls, blankets and plenty of nice walks make this the perfect dog-friendly stay. 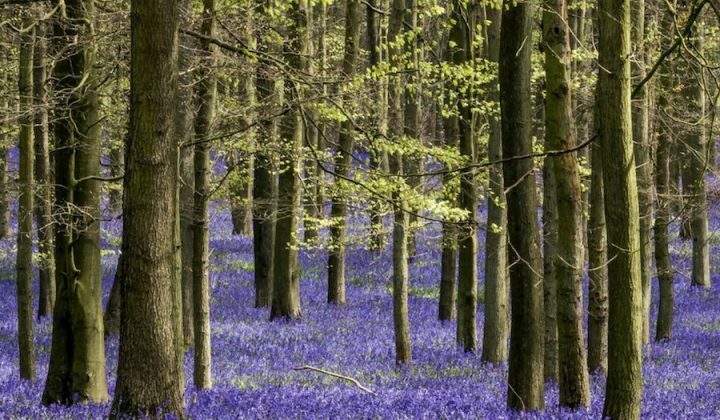 A circular route that takes you behind the church is particularly lush when the bluebells are in bloom, but tap up the bar staff up for other suggestions. Dogs must kept on a lead at all times but get an access-all-areas pass – so while you stuff your face by the roaring fire they can hang out with Percy, owner Rob’s sociable Spaniel. 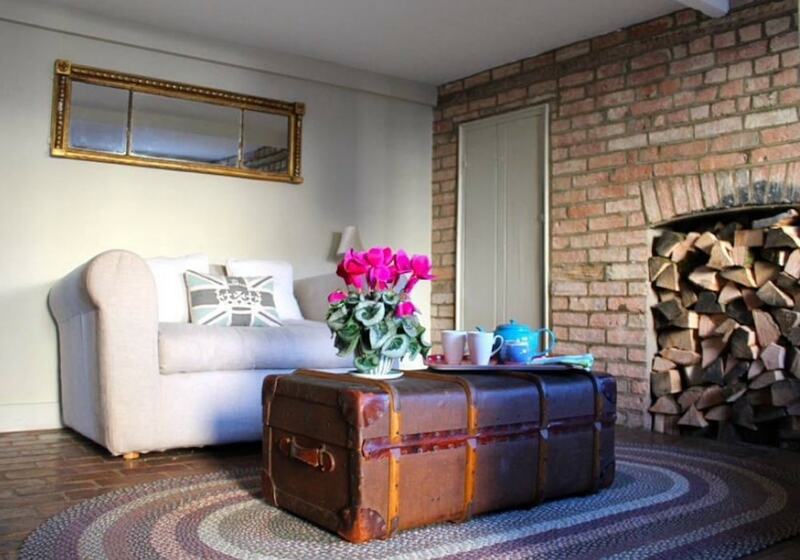 Rooms start at £105 per night including an epic farmhouse brekkie, dogs from £10 per night. 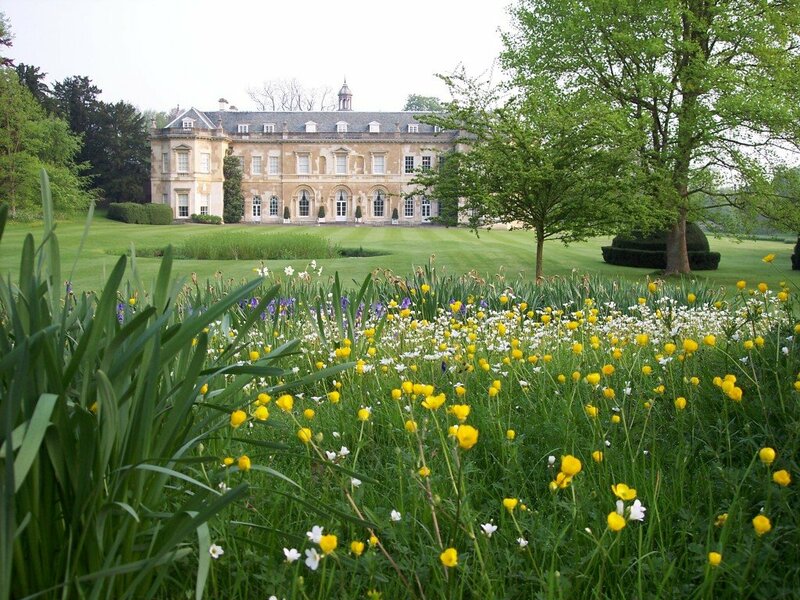 Stoke Place is a 26 acre hotel in leafy Stoke Poges, originally built in 1690 as the home to 17th century royal celebrity chef Patrick Lamb, with gardens later designed by Capability Brown (oooohhhh!). A more affordable stay than its well-heeled neighbour Stoke Park, Stoke Place does a roaring trade for weddings, conferences, romantic weekends (I’ve ticked that box myself – the suites are lovely) and those looking for dog-friendly stays – 14 out of the 44 bedrooms can accommodate your four-legged friends, dogs are welcome in the bar area, and there’s plenty of room amongst the grounds for exercise, plus the beautiful Burnham Beeches and Black Park are nearby for a long tromp in the countryside. Rooms from £60 in low season, £180 during high season and a £20 charge for dogs. In a stonkingly pretty setting of over 90-acres on the edge of the Chilterns, the National-Trust owned 17th century Hartwell House boasts some of the most replete Jacobean and Georgian interiors in the area. 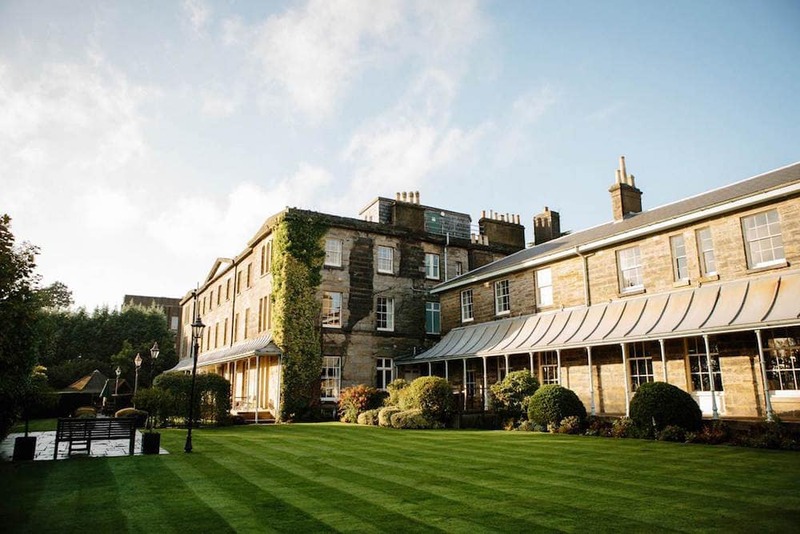 The hotel has 32 rooms in the Main House and another 16 bedrooms in the renovated 18th century riding stables where your dog can also stay by prior arrangement – two smallies or one larger pet – and you’re welcome to take them into the parks and woods for walkies. You can’t take them into dinner with you unfortunately, but have you seen the size of the rooms? They’ll be delighted to run a bath, slip into something more comfortable and watch Strictly anyway. 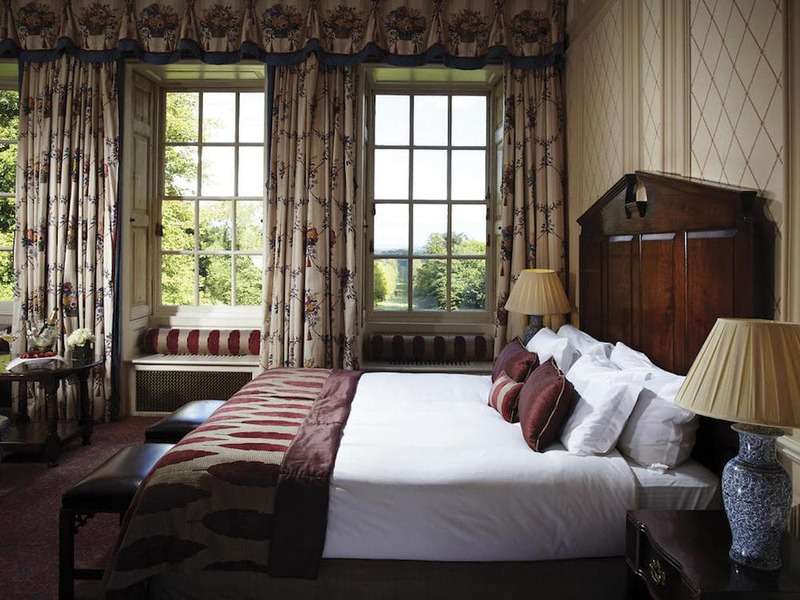 The hotel is handily positioned – you’re 15 minutes from the splendour of Waddesdon Manor, 25 from Rousham Gardens and 20 miles from Oxford if you’re after some cultural kicks. Dog friendly suites start at £279 per night. You wouldn’t know this place existed if I wasn’t blabbing about it, as it’s tucked away behind a rather nondescript door off the high street in Kimbolton. Open it, and down a cobblestone path, you’ll discover Carters Yard – a boutique B&B that just loves dogs – there’s a tin of doggy treats waiting for your arrival. Carters Yard is a cute self-contained cottage – one bedroom and bathroom upstairs and a sitting room downstairs with a teeny tiny kitchen.There’s a vintage vibe about the place with antique mirrors and eclectic finds. Practically speaking there are exposed brick floors, so no panic about dirty paws and there’s plenty of space for the dog bed. If you’re not keen on dogs in sleeping quarters there’s space to banish him or her downstairs. Kimbolton is a pretty, historic village on the west side of Cambridgeshire surrounded by footpaths and open fields so it’s crying out for wellies and a pooch. There are actually two pubs next door to one another in the village – that’s the pub-crawl sorted and well-behaved dogs are welcome in both. Rooms are £90 per night based on two people sharing and £10 a night for the dog. This 17th century traditional country pub is currently having major reconstructive surgery but it’s nearing completion and when it’s finished (due the end of Oct) it will have six beautifully designed luxe B&B rooms. Four of them are already complete in the old converted barn in the grounds of the inn. We’re talking top-notch bathrooms, White Company bath products and all the mod cons you’d expect and, better still, they come readily equipped for your four-legged friend. Each room comes with a dog bed and water bowl so you can turn up and jump straight into bed without the hassle of carting the dog toot in with you. 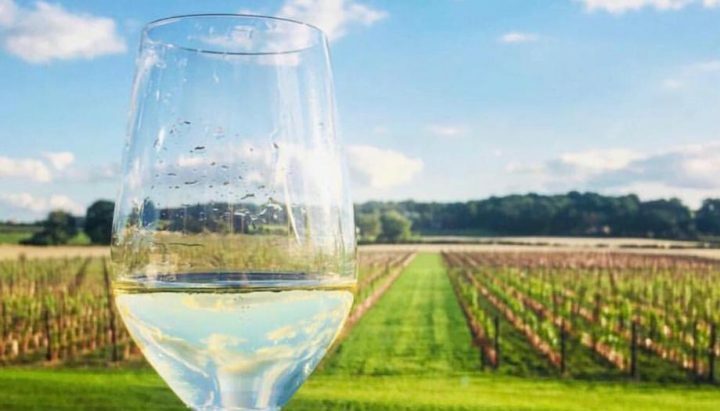 Bartlow is a small village over to the East side of the county – you’re practically in Constable country here and the pub is surrounded by rolling countryside (yes doubters, you can find hills in Cambridgeshire, you just need to know where to look!). The Three Hills understands living in the country, and with loads of tweed, velvet and leather, it’s a kick-off-your-muddy-boots-and-hunker-down-with-a-glass-of-red-wine kind of place with your best friend lying by your feet. Price is £120 per night for a double, it’s an extra £10 per night for a pooch. 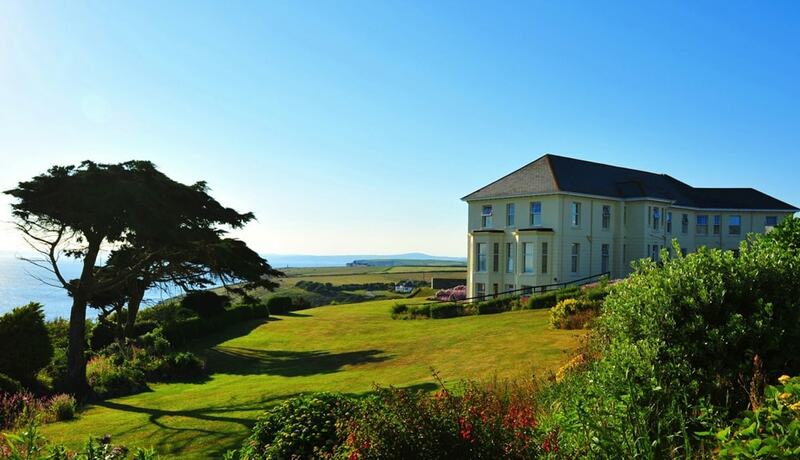 Bring the dog, hell, bring the whole family to this gorgeous cliff-top retreat on the Lizard Peninsula. The Polurrian Bay Hotel will welcome your entire clan, two legs and four, for a relaxing, luxurious (yep, it’s totally possible!) break by the sea. There is stacks to do here; a private beach, two pools (inside and out), tennis courts, a luxe spa, cinema and games room, plus free childcare — hello Sunday-morning lie-ins! And when you feel the need to leave the hotel, your pooch will be in doggy Shangri-La too. The walking on the Lizard is really special, with rugged coast paths taking in breathtaking Kynance Cove and Lizard Point, the most Southerly tip of England. Nearby harbour town, Porthleven is also a Muddy favourite, thanks to its excellent eateries. I love Amélies, Kota Kai and the Horse & Jockey for some of Cornwall’s best pasties. Dinner, two nights bed and breakfast from £309. Between St Ives and Land’s End on the South West Coast Path is an endlessly inviting, gorse-yellow pub that I can’t get enough of. The dog-friendly Gurnard’s Head is set among the wilds of Penwith, offering up some of the most spectacular walking country in Cornwall. It has seven stylish and comfortable rooms, where your canine companions are also welcome and the food is worth the pilgrimage alone, focused on fresh and sustainable produce from the Cornish larder. The kitchen serves up an epic breakfast and will pack lunches for walkers, including some must-try local bites. At the end of the day, cosy armchairs, log fires and warm baths await. It’s worth noting that the rooms here often get booked up well in advance, so you’ll need to be a bit organised about this one. Dinner, two nights bed and breakfast from £290. Read my full review here. This one really is superflashy-newsflash-worthy, since Paschoe House has only been open a few weeks (and Muddy has already been to check it out. Spoiler: it’s a dream). If you want a stay in the country with the emphasis on luxury for all members of the party, you, my friend, have just struck gold. This boutique hotel, set in 25 acres, has so many of the most scenic walks on your doorstep, that it would be bonkers not to welcome dogs and, with their own gorgeous pooch, Truffle, in residence owner Tabitha fully embraces dog-friendly hospitality. There are three rooms specifically put aside to receive dogs: a suite, a deluxe double and a standard double. You’ll find dog bowls, beds and a toy for your pooch and nowhere, except the restaurant, is off limits. And here’s the big advantage over booking a self-catering stay: if you’ve been yomping along the famous Two Moors Way footpath and you’re returning with an unidentifiable swamp-monster, the lovely team will help give them a little shower and spruce, before safely depositing them back to you, clear of muddy paws. Result! 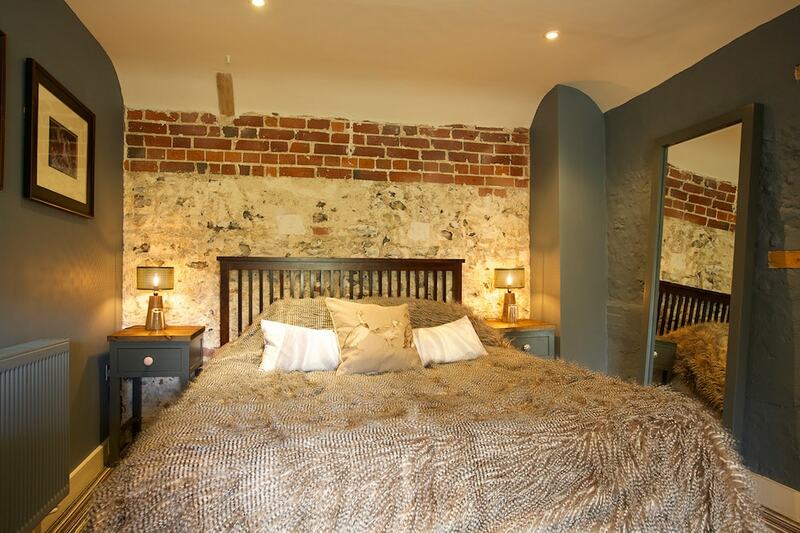 Rooms for a weekend stay in October from £220 per night (dogs may incur an extra charge). I mean, look at that view. Just insert pooch trotting around, ears flapping in the breeze and it’s the picture of the perfect dog-friendly destination, isn’t it? The Horn of Plenty is set within five acres of gorgeous grounds, overlooking the Tamar Valley, whilst being minutes from Dartmoor and has an enduring appeal. If you reckon your hound can be well mannered and courteous of other guests, then you’re all set for an elegant and enjoyable break. 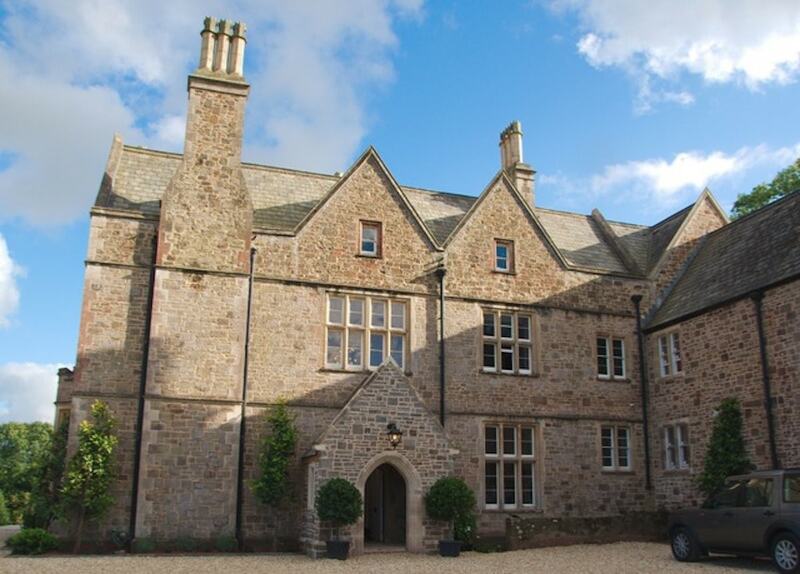 Specially allocated rooms are available in the converted Coach House and, fuelled by the menu in the 2 AA Rosette fine dining restaurant, or the sublime afternoon tea, you’ll find some of the county’s best beaches, National Trust houses and gardens all within easy reach to explore. The owners of the family run country house hotel are firmly from the ‘why should dogs miss out on all the fun?’ camp – and quite rightly so. Rooms for a weekend stay in October from £140 per night (£10 extra per night for dogs). If there’s anything to be learned from this research exercise, it’s that travelling with pooch in Devon does not mean compromising on life’s finer things. Quite the contrary at the superluxe Whitehouse Boutique B&B in the South Hams village of Chillington. 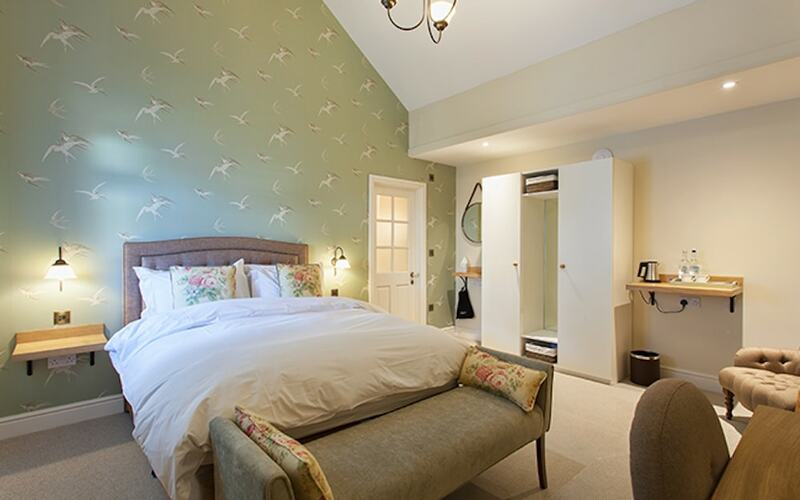 Run by the team behind two of the county’s best beachside foodie destinations, Beachhouse and the new Schoolhouse, there are six sublime rooms, all of which dogs are welcome to bed down in. And while you recline in a bath made for two, your furry friend can be pampered by the resident dog groomer at the end of the garden, perfect after a day rolling about on the sand and splashing in the sea at one of the many beaches nearby. Dogs are welcome to lounge with you in all reception rooms and bedrooms, including the restaurant (on a lead), which, by the way, launches in October to non-residents with new menus. Never let it be said that we don’t give you gossip. Rooms for a weekend stay in October from £180 per night (£10 extra per night for dogs). Who knew you could bring your pooch to such a posh Cheltenham establishment? 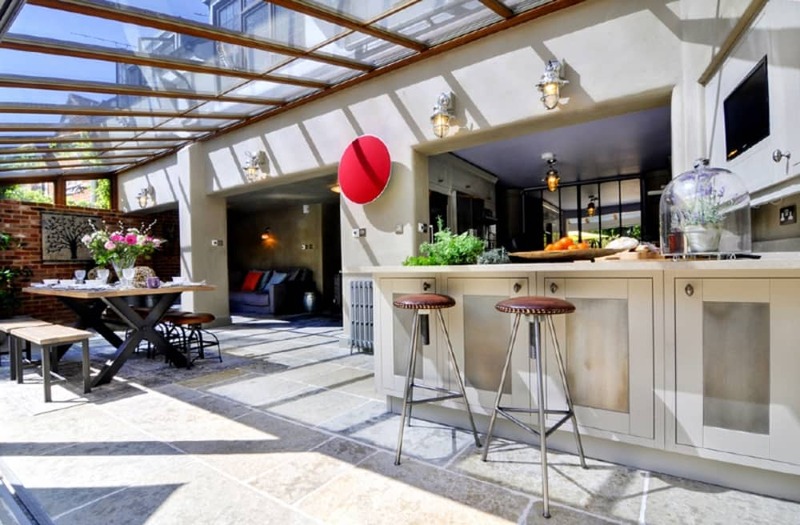 Housed in one of the Regency town’s glorious buildings, while it’s all grand Victorian villa on the outside, inside you’ll find super-cool, eclectic design at every turn. Well-behaved dogs past the intensive chewing age of one are welcome in designated guest rooms, but if you’re imagining yourself à la grande dame parisienne with doggy on your lap (or even in its own chair) while you tuck into lobster and strip steak in the rather splendid brasserie, then non – dogs are interdit in most of the hotel’s public areas. But hey, I’m good with that, as long as I can cuddle up with my Irish Wolfhound at night… (Joke, and I reckon a lap dog might suit this chic stopover better than a larger variety of canine. Just saying.) Book a room from £160 per night. The impossibly lovely Tudor Farmhouse, a hotel and fine-dining destination in an area of Gloucestershire more renowned for its natural wonders than culinary delights, has a very laidback approach to dogs. When I stayed, I called at the last minute to see if I could bring my hound along and it was no problem at all. He was given a very comfortable room to share with the offspring and the four all slept like babies. The chic, 20-room hotel is bang in the middle of the magical forest, so your dog will appreciate being included in the jolly, and the hotel has great maps of local walks you can take away with you when you go exploring. And the food! Well, you won’t be needing a doggy bag and even if they did let pets in the restaurant, you certainly wouldn’t want to share any of the delectable dishes with your four-legged friend. From £150 per night, plus £10 per dog. Hanging out in a peaceful valley in a very small village (pop. 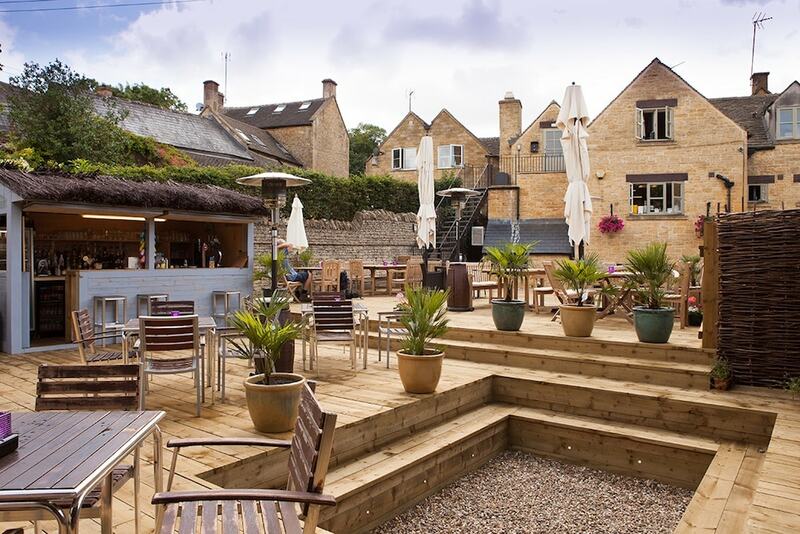 296) in prime Cotswold countryside, The Hollow Bottom pub aces pretty much every base – cute, honey-coloured Cotswold stone exterior; cosy, rustic interiors; incredible food conjured up by a former Young Scottish Chef of the Year; a laidback, decked beer garden (with a rather nice-looking outdoor bar); and five B&B rooms one of which is called Mrs Muck, so of course they welcome canine visitors! 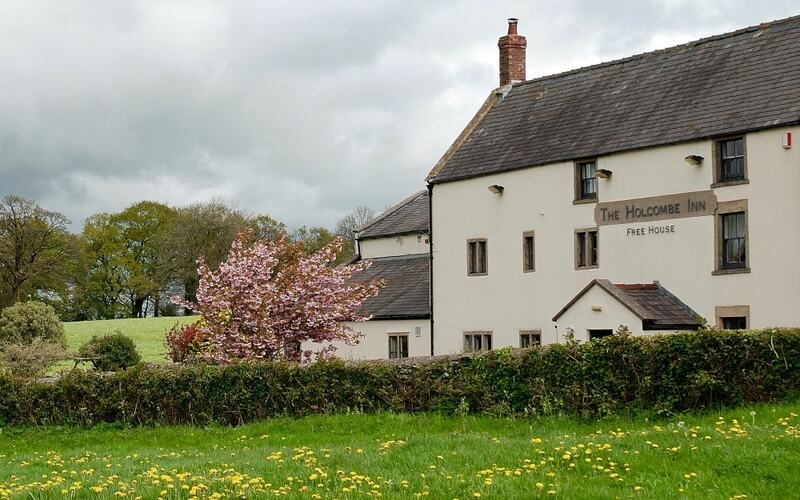 The pub is located in perfect dog-walking territory and if your idea of a good weekend consists of rambling, pint-drinking and stuffing yourself with Sunday lunch, you couldn’t be in a better place. The roasts are legendary and if you want to share with your pooch, he or she is welcome in the bar and the beer garden. Prices start at £220. Are you a doggy with exacting standards? A pooch who travels in style? 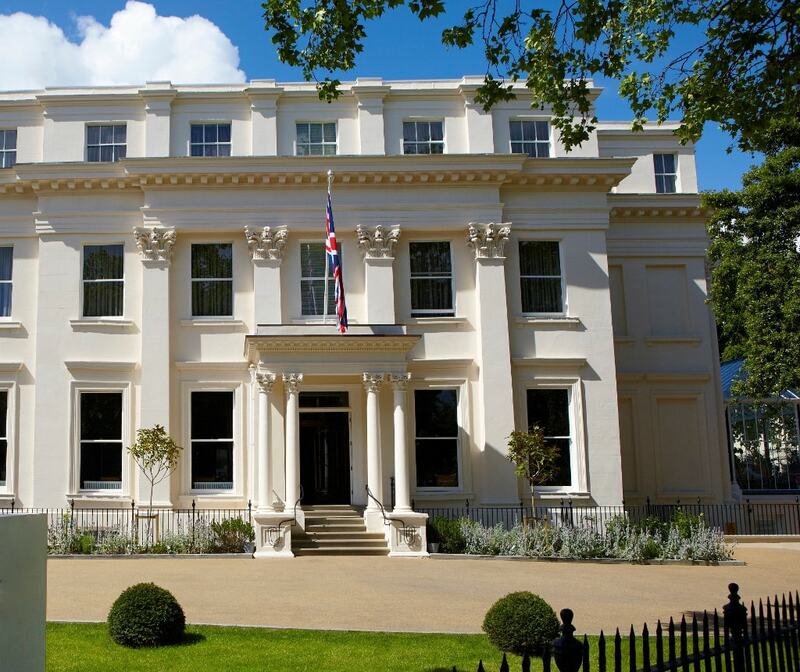 Hello Lainston House; the seriously grown-up, seriously luxe country hotel. Expect handmade mattresses and a pillow menu (yup, a thing) for your owners; and for their furry BFF? Dog-beds in the room, tailored to your breed obvs, plus treats — foie gras flavoured Bonios perchance, or Bolli in the water bowl. Oh, I am sorry: you’re a Lanson lover? Just woof for room service. If you’re a country canine and love nothing more than a hedgerow snuffle then rejoice. You’re deep in rural Hampshire here, surrounded by miles and walky-friendly miles of river, field and woodland. Leave those tasty Autumn-time pheasies alone, though, and nose your owners towards Lainston’s brilliant cookery school instead: its seasonal cooking day is on the 28th October, paws-crossed the menu will include game and you’ll be allowed to lick the bowl. More of an urbane lap-dog? Alles gut, you’re only a bone’s throw from Winchester’s flat-whites and indie shops. Heel. Average weekend price per night is £185 + £50 for a dog. A Hampshire institution with the kind of well-worn, easy chic synonymous with its rural, huntin’, shootin’ roots; all washed down with a cheeky measure of English eccentricity. Think sepia photos from the local shoot, gun butts for curtain tiebacks, antlers on the wall and a boar’s head replete with pork-pie hat, scarf and chipped tooth (Locals: 1, Boar: 0). Since the loyal Lab is de rigueur for any Country Gent/Gent-ess who knows her Pinks from her Plus 4’s (think A/W ’17 blazers & tweeds: A/W 1917, that is), a huge surprise it is not that dogs are welcome with woofing-wide arms here; by the bar, in the rooms, heck The Woolie probably serves marrow-flavoured bar snacks. And the walks, oh the walks. The Candover Valley is high-wattage Hampshire, all big skies and swooping sight-lines — just keep your pooch on a lead, t’is shooting season my friends so watch out for those pesky Plus 4 wearing maniacs locals; you saw what they did to the unfortunate boar. Read my full review here. Tally ho! Average weekend price per night is £185. The Farmhouse at Redcoats is under new ownership. It’s now in the safe and creative hands of Anglian Country Inns and the Nye family who own 7 other independent businesses in Hertfordshire and Norfolk, including Water Lane in Bishop’s Stortford and The White Horse Inn in Brancaster Staithe. The Nye family has a talent for bringing distinctive style and personality to each of its locations, while also taking on the mantle of the local area and heritage. This is certainly true of the Farmhouse at Redcoats where two listed barns are currently being refurbished with great care and attention. With 13 rooms and an emphasis on seasonal local food, The Farmhouse is most welcoming to both humans and hounds. The garden rooms are reserved for four legged guests, and treats are only offered to the most well mannered, so it’s worth having a word in their ear before you arrive. Once the 4-acre garden feels like home, your dog will be given a handy map and guide to local rambles and the best muddy puddles in the area. And on your return, human tails wagging after exceeding the daily step count, The Farmhouse team will welcome you with refreshments, served in glasses or bowls, while you collapse in front of a log fire. From £110 for one night based on two sharing and a £10 charge per dog, per night. Would your dog be happy to stay in a Grade II listed mansion with over 1000 acres to run around in? I thought so. 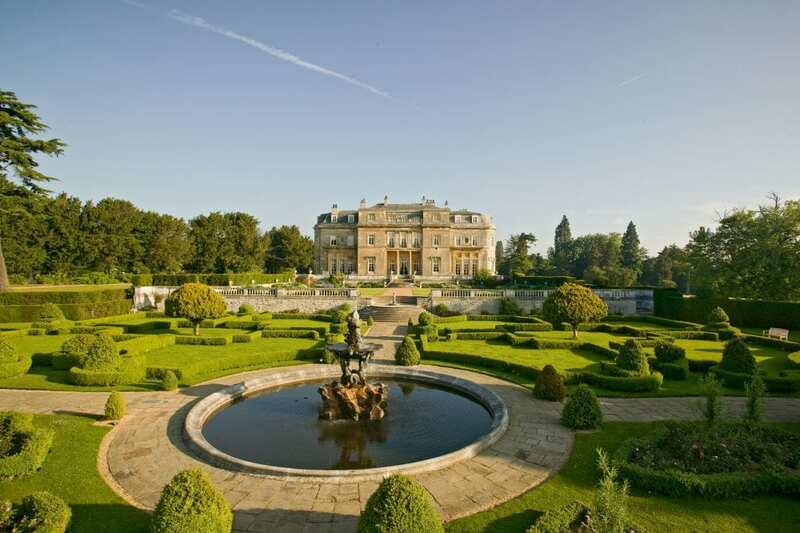 Luton Hoo is a 5-star hotel with golf, spa and clay pigeon shooting, parked firmly on the Herts/Beds border. It’s grand and sparkly, with a choice of restaurants, including the fine dining Wernher, named after the former owner and diamond merchant Sir Julius Wernher, who commissioned The Ritz’s architect to design the mansion in 1903. Amidst all this grandeur, Luton Hoo is often cited as one of the country’s most welcoming hotels for dogs. Fizzy terriers and languid lurchers will happily rest their head on their paws in one of the Parkland or Flower Garden rooms. The dog package is £35 a night, and your poppety pooch can enjoy one meal a day, a bowl, bed, ball or toy and treats. Don’t forget to let your dog know that the non-GM, additive free Arden Grange is on the menu – nothing but the best! And after exploring the expansive acres of Luton Hoo, even the whizziest of whippets will look forward to a bit of shut eye while you head off to the spa. £200 for one night based on two sharing plus £30 fee per dog, per night. Well, with a name like that, how could this recently renovated gem of a pub be anything other than doggie friendly? 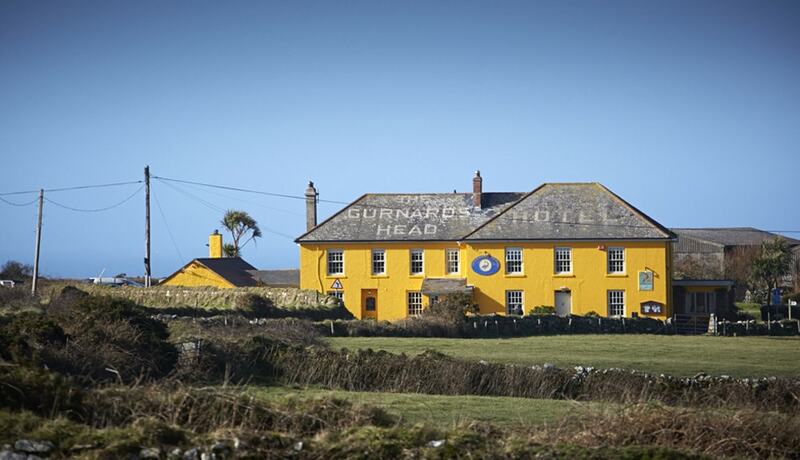 This is a stylish, friendly, family-run pub, restaurant and boutique B&B. There are eight smart guest rooms, including a decent-sized family option, and your poochie companion is welcome to stay too. Dogs are allowed in the lounge (look out for the doggie treats), bar and restaurant – and the food here is top notch so you’ll want to try it. ‘The Dog, Walking Club’ takes place on the last Wednesday of every month which is open to all – and provides the perfect chance to socialise (with the other walkers), exercise (in the stunning local scenery) and refuel (afterwards you enjoy a two-course lunch including a glass of house wine, for £25 per person). double room (weekend rate) starts from £150. If you’re after a town-based stay for you and your furry friend, then you might be surprised to hear that the lovely luxury of this local institution is also open to doggies. Visit in the day and man’s best friend will be welcomed in the hotel’s striking lounge, bar and pretty terrace area out the back. Stay the night and your pooch will be provided with a dog bed, bowl and doggie treat. Better still, just a minute’s stroll from the hotel, you’ll find Calverley Grounds park. It’s the perfect place for you to stretch your legs and chase a frisbee – take your doggie too if you like (he, he). Price from £200 for double room (weekend rate) and £10 for dog. There’s plenty of outdoor space and walking trails for your dog to enjoy while staying in one of these pretty lodges run by Laura Turney. Located on Westleigh Farm, which stretches across 1000 acres of rolling Leicestershire countryside, the Turney have developed walking and cycling paths on the farm to help you and your dogs explore the farmland at your leisure. It’s also an easy, level walk along the canal to Foxton Locks itself – a popular spot for dog lovers with a great dog-friendly restaurant too. Back on the farm, there’s a choice of four lodges to stay in: Fox’s Den, Otter’s Holt and Squirrel’s Drey sleeps four people and Badger’s Set sleeps two. Each one comes with kitchen area, mod-cons, living room, bathroom, en-suite bedrooms and a hot tub outside. Here, your four legged friends can stay for free – you’re just asked to bring food and bedding for them. 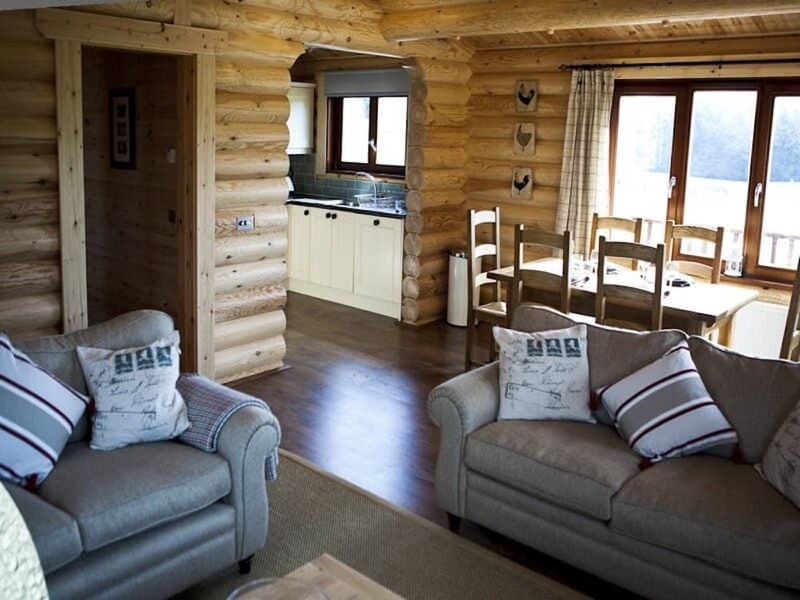 Prices start from £375 for weekends in a double room cabin (Fri – Mon – 3 nights minimum stay) and no extra charge for dogs. This stone cottage, built in the 1800s is in the heart of Edith Weston, a small and cosy village in Rutland. With one bedroom, the cosy cottage can sleep two people comfortable and is a popular place to bed down for walkers, cyclists and dog lovers. Inside the cottage offers the traditional charm of a cottage while maintaing original stone walls, exposed timber work and an open fire with modern facilities. Puddle Cottage is filled with books and games which you can enjoy in front of the log fire in the winter or the cottage garden in the summer. When hunger calls, pop into the local, dog-friendly pub, The Wheatsheaf which is open for lunch and dinner. The cottage is just a short distance to Rutland Water where your pooch can enjoy a stroll through one of the parks or stretch its legs along the many walking paths which span over 3,000 acres. Prices start from £240 for weekends in a double room cabin (3 nights minimum stay) and a charge of £20 will be required to cover the cost of additional cleaning caused by dog. Leaving pooch at home while you go away isn’t ever easy – he/she is one of the family after all. Book with luxury self-catering cottage company Barefoot Retreats (who we love) and you’ll find a button for dog-friendly properties on the homepage; simply click it and find out which properties welcome woof woofs. Of note is Number 6 in Docking, a newly-built, two-storey house sleeping six which – despite being finished this year – welcomes dogs. For something more traditional, book Grade II listed Norton House in Snettisham which sits on an elevated position above a pretty coastal village. Got a large family? Try something roomier, like First Staithe Field in Brancaster Staithe (pictured) which has magnificent views of Scolt Head Island and sits in five acres– plenty of room for pooch (and you) to run around. After a day walking on the beach or in the glorious Norfolk countryside, enjoy a pint in a dog-friendly pub (of which there are many) before coming home to relax in front of a wood burning stove, fury friend at your feet. Ahh. 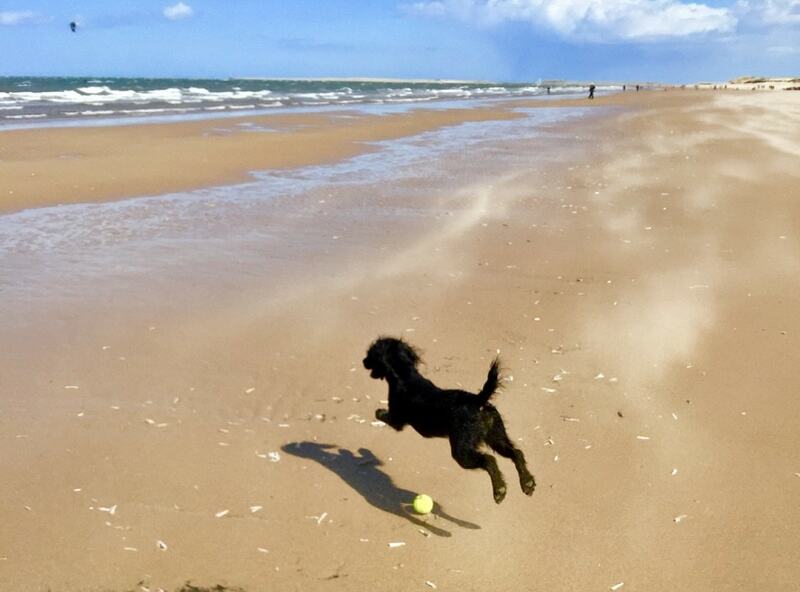 If you know North Norfolk Holiday Cottages like we do, then you’ll already know how well-equipped they are for dogs. Firstly, their print advert of a man walking along a deserted beach with a dog in tow isn’t just iconic around these parts, it’s gorgeous. Secondly, it’s rare to find a company where every property in its portfolio is dog-friendly. Don’t have a dog crate? Angela at North Norfolk Holiday Cottages will supply one for you. Need a dog sitter? She will help with that too. All properties contain dog towels, dog bowls and dog name tags as standard (they are away from home, after all). Amazing, right? There are even two properties that will cater for an unlimited number of dogs (did you hear that, Paul O’Grady?). 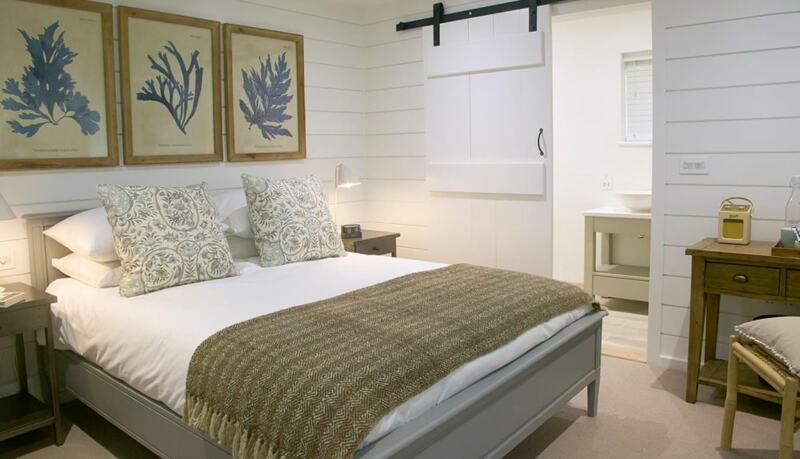 Check out Lark Cottage and Samphire Cottage. 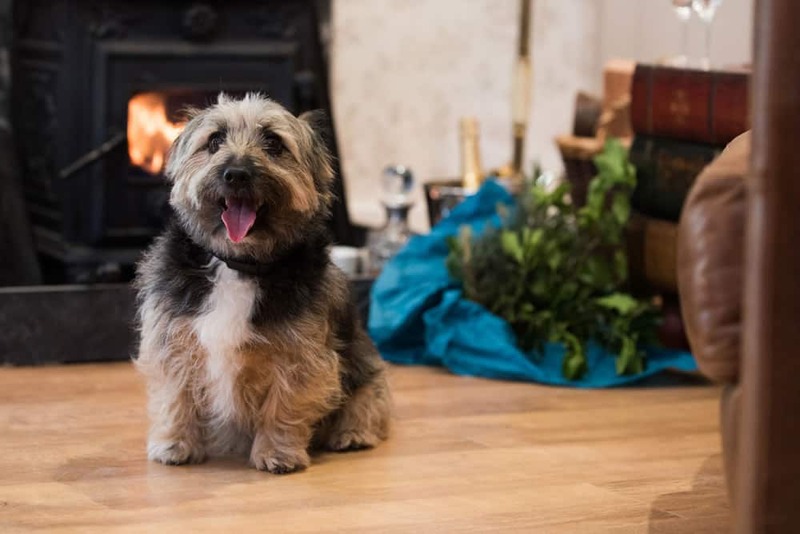 Once you’ve chosen your accommodation, head to the website to see the range of pubs in North Norfolk that welcome doggies with gusto – from dog biscuits on the bar to water bowls at your feet. There’s even a list of local vets available. Woof woof! [wags tail]. OK, this one is so dog-friendly you’re not even invited! Glassthorpe is a state-of-the-art luxury dog hotel which welcomes its residents with open paws! 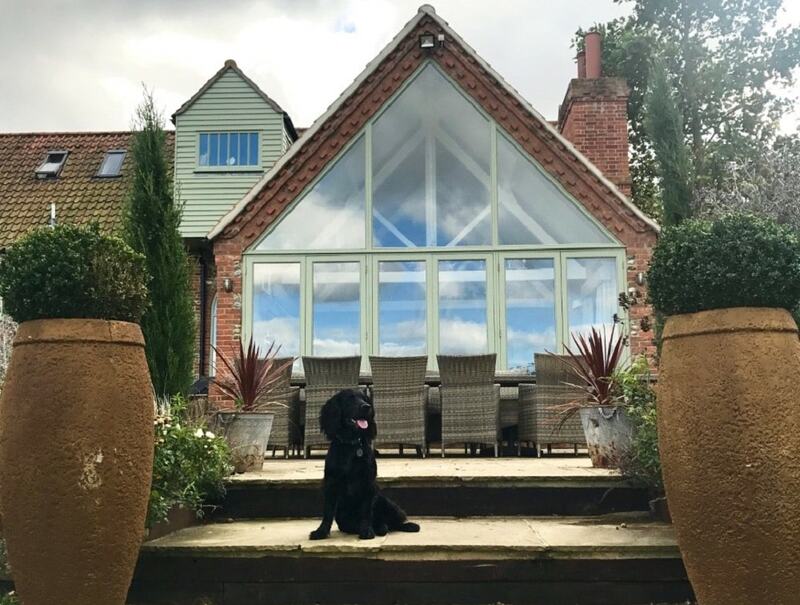 Designed purely for the happiness and wellbeing of pooches, Glassthorpe Luxury Dog Hotel is set in 15 acres of beautifully secluded Northamptonshire countryside. As a small, family run business it provides tailored care to each canine guest in a calm and caring environment. ​The Hotel is the pride and joy of Lottie Randall, who not only knows her doggy stuff (several years of experience with animals of all shapes and sizes), but is qualified in Canine First Aid and Behavioural Training. Each of the 16 rooms features an individual indoor sleeping area and outdoor play area. Sleeping areas also have non-slip tiles, double glazed, full height windows and doors, underfloor heating and serene music playing at low volume (er, hello, can humans check in too?). Individual time is spent with each dog, in the comfort of their room – whether it be grooming, play, treat games or merely sitting with them whilst they have a nap. They also encourage entertaining walks and group play in the various paddocks *quickly books Muddy Paws Northants in for a spa break. Boarding is £28 per day. On the Nene Valley trail this lovely B&B is set alongside the main farmyard of the owners and is a collection of converted stables. It features ten neat clean and cared for en-suite rooms with accoutrements including a lovely invigorating shower (yup, I’ve tried it). It’s traditional more than boutique in style, but has everything you need for a comfortable stay (including outdoor tap and dog bowl for thirsty pooch). The amazingly restful night’s sleep and brilliant and healthy breakfast (fresh fruit, locally farmed produce and almond milk – yay) were only two of the many great reasons to stay. The fact that dogs are so welcome is obviously the great bonus, but it’s also in a fab location with plenty of beautiful walks on the doorstep to keep your four legged friend healthy and happy (including a watering hole at the Montagu Arms – the village’s 300 year old pub). £50 a night. Yep, I think this will do nicely. This grand hotel near Bicester, originally built for Osney Abbey’s bailiff in the late Fifteenth Century, has all the heritage you can handle, with its Tudor fireplaces, wood panelling and croquet lawns. More interesting to your pooch are the dog-friendly rooms in the Coach House, with Dream Dog Beds and 4PAWS A La Carte Menu. What more do you want, a dog-sitting service? Oh hang on, they have that too. Bicester Village, Rousham Gardens, Blenheim Palace and the wonderfully quirky Jane’s Teas in Kirtlington (open in the summer only) are all in enticing reach. £159 for b&b stay in a dog friendly room plus £20 dog charge. Shall we just start with WOW? The Shaven Crown, found opposite the church and village green in the heart of Shipton under Wychwood, in the Oxfordshire Cotswolds, was founded in the 14th century by the monks of Bruern Abbey to house pilgrims and as a hospice for the poor. 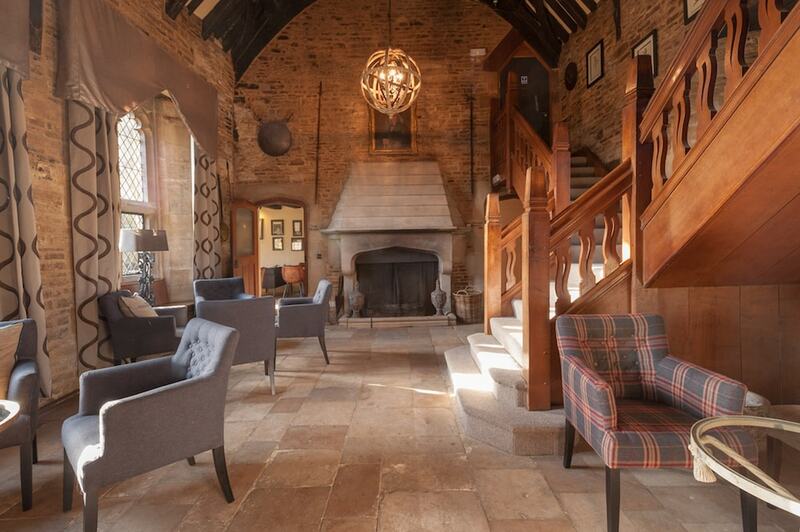 Clearly those friars had excellent taste in retro-country upholstery because this pub with rooms is stonkingly stylish, offering luxury and yet still sympathetic its original features including a 14th century gateway and striking Great Hall. 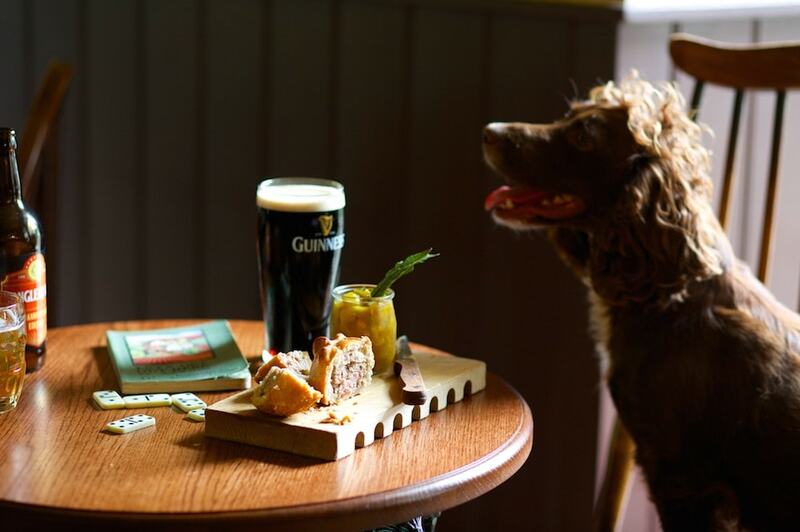 The pub is very dog-friendly (the pub’s Instagram feed is littered with woofers) with dogs welcome in the bar, and also the bedrooms – owners Phil and Evelyn have their own dog Gertie, hence the pro-pooch approach. You’re in a great spot here to explore the Cotswolds, with Stow-on-the-Wold, Chipping Norton and Bourton-on-the-Water all super-close-by. Standard double room is £130. 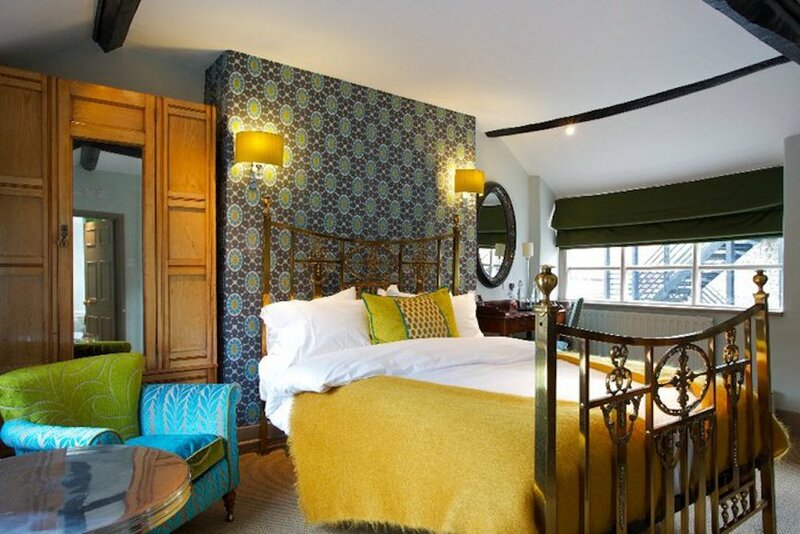 Never mind Blenheim Palace, Woodstock’s other great institution is the 17th century Feathers Hotel, a luxury boutique hotel in the town centre that happens to hold the Guinness World Record for largest gin Bar with 447 gins (respect!). If you are coming with four-legged friend in tow, you’ll be delighted to know that a whopping 16 out of the 21 bedrooms are dog-friendly – enough for a dog convention! Your pooch can dine out for free on a range of whole grain, natural treats including Misfits Wonky Chomp, Harringtons Chicken Rolls and Pedigree Meat Schmackos. You, of course, can eat slightly more rarified fare – Executive Chef, Dominic Chapman gained a Michelin Star in 2010 and wowed judges on the BBC’s Great British Menu in 2017. Room prices from £159. 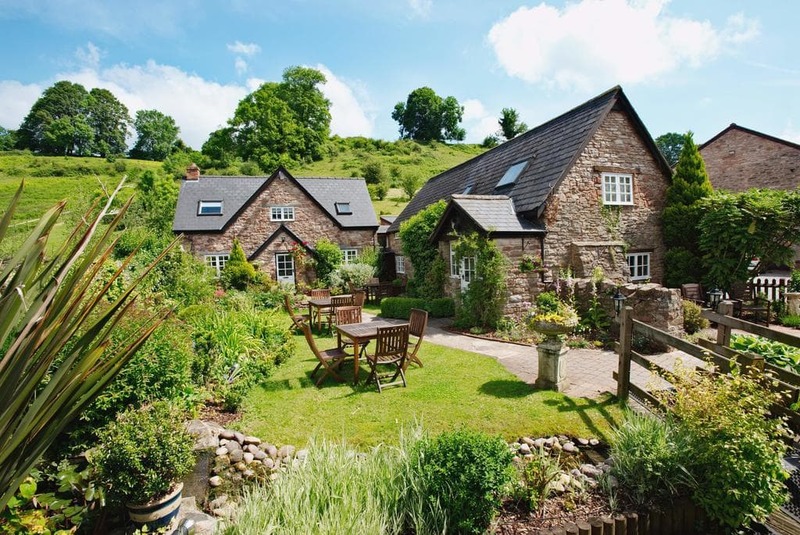 Dogs get gifts and a welcome card at this luxury wood-clad cottage perched high on top of the Quantock Hills overlooking the north Somerset coastline. Sleeping four humans and three canines (more on request), the cottage combines country comfort (log burner, squashy sofas on which your dog is welcome to sit), contemporary facilities (under floor heating, luxe bathrooms and American style fridge-freezer) and a huge open plan living area with high ceilings, exposed beams and fab views. Dogs can frolic in the enclosed garden, run wild over the 9,500-acres of Quantock moorland and wooded valleys or paddle on Kilve Beach at the bottom of the lane. Come back all muddy and wet? No problem. 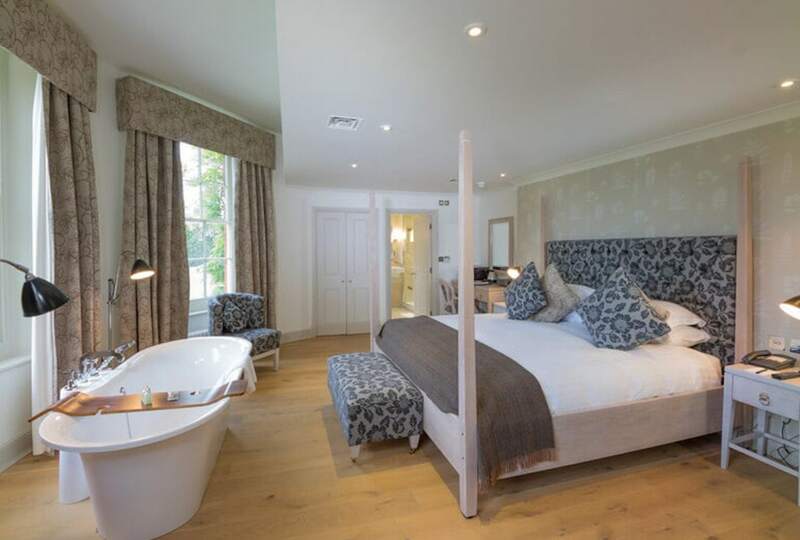 There are hot and cold outside taps, a bath and a shower for the pooch – and en-suite showers, a private hot tub and fluffy bathrobes for you. Boutique hotel-style services too: restaurant quality food, flowers, massage and pet grooming are ready and waiting. Prices for a long weekend (3 nights) for up to four people, from £470.25 plus £30 per dog. A 17th century country inn set in gorgeous mid-Somerset countryside with 5 star rated boutique accommodation, a 2 AA Rosette restaurant and two dog-friendly wooden lodge rooms. We’ll throw a Poldark location in there too. For you: king-size beds, luxury double-ended French style baths, flat-screen TVs, handmade soaps and cookies. For your mutt: a comfy bed, washing facilities, towels, shampoo and dog treats. You can’t take dogs into the Michelin Guide listed restaurant but you can scoff the same nosh in the snug and bar (where you can). Incidentally, the bar has a roaring log fire and selection of over 30 malt whiskies and concocts its own speciality gins, vodkas and absinthe. Wear out four legs and two on one of the ten superb walks from the front door of the inn or in the vertiginous Cheddar Gorge a few minutes’ drive away. And the Poldark connection? The village church just across the fields played Sawle Church. A weekend stay (Fri & Sat) for two is £290 plus £20 per dog per night. Relax on a spa break at this small country hotel safe in the knowledge that you don’t have to leave your canine friend behind. Well-behaved dogs are welcome in the hotel and can stay overnight for £20 extra in some of the ground floor bedrooms that have their own garden access – making things easy for walks or quick canine loo breaks. Do your own doggy paddle, or something more elegant, in the mother-of-pearl lined indoor pool, or the heated outdoor pool in summer months, then chose a massage, facial or more from the treatment menu and chill out in the relaxation room or on the sun terrace. Afternoon tea is among indulgent options in the restaurant. There’s also ample opportunity to get sporty with tennis courts, bowls, croquet, a nine-hole putting green and six-hole golf course – or perhaps just play frisbee with your dog in the ample grounds. Standard rooms are from £130 per night plus £20 for dogs. 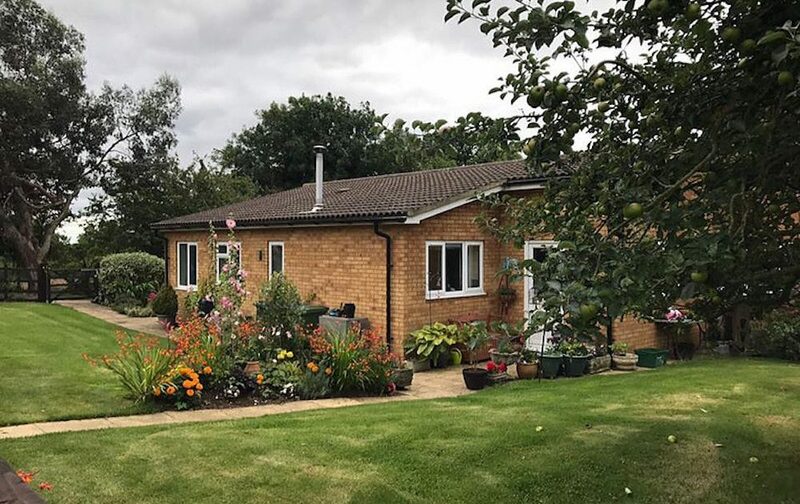 Set in the stunning Warwickshire countryside with brilliant dog walking in all directions, Oak Lodge is a detached property in a peaceful location in the grounds of its owner’s country home. Visitors and their pets are welcome to explore the surrounding 15-acres grounds – includes a spinney – during their stay. Access to the owner’s gym and swimming pool are also available by separate negotiation if required. Furnished to a very high standard with oak flooring and character beams, this spacious and stylish one bedroom holiday property is the perfect place to relax and unwind with your four-legged friend. A short drive away from a good selection of dog friendly country pubs. 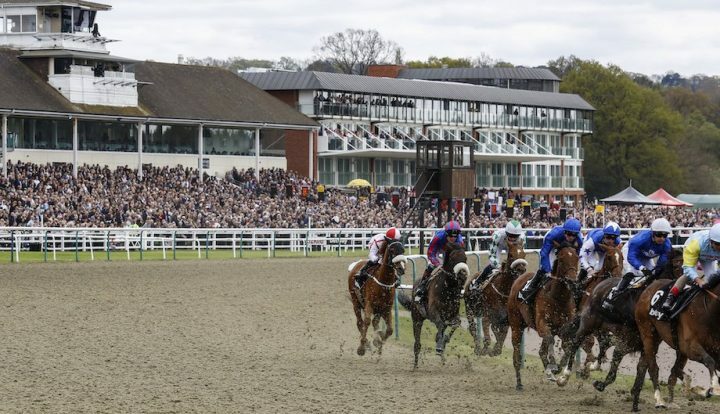 Stratford upon Avon, Warwick, Birmingham and The Cotswolds are also easily accessible. £300 for a weekend (£700 a week) plus a £25 fee per pet. 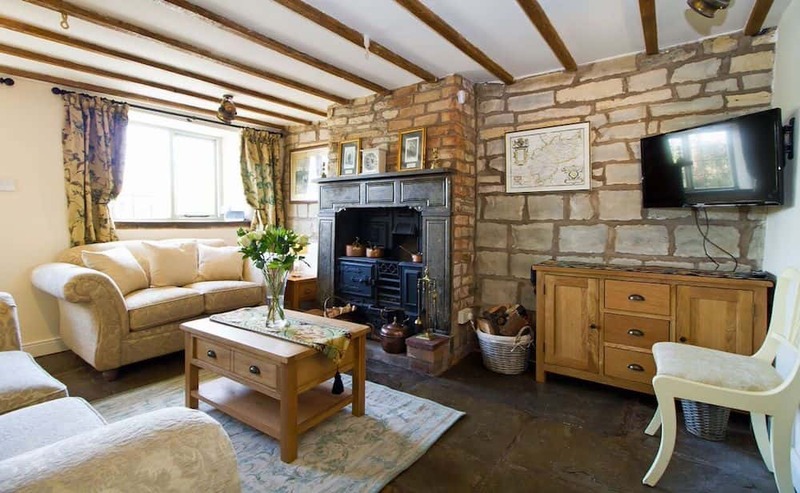 A wonderfully atmospheric 17th century Blue Lias stone cottage dating back to Shakespeare’s time! 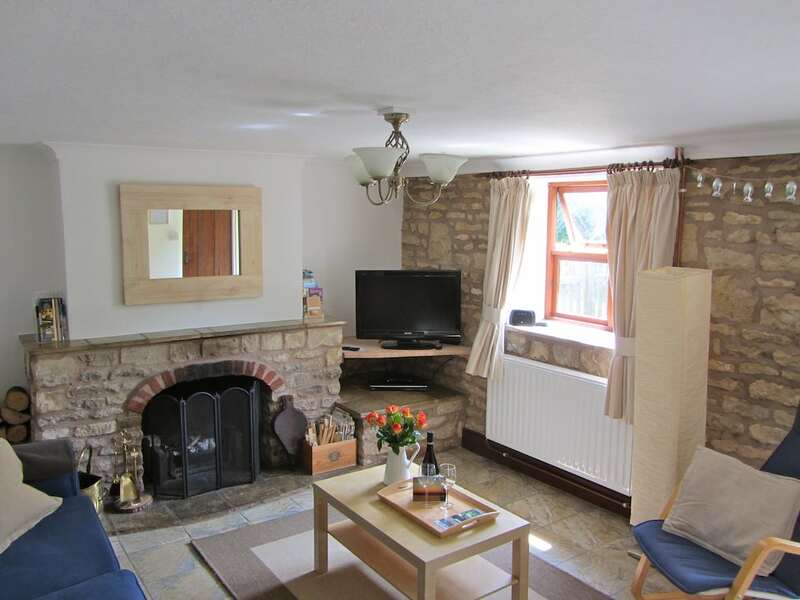 Totally refurbished, this cottage can sleep up to 5. It successfully blends old world charm and original features, with contemporary styling. just 4 miles from Stratford-upon-Avon, on the edge of the historic village of Binton and a short walk from the highly regarded dog-friendly inn and restaurant The Blue Boar. Brassknocker Cottage is surrounded by open countryside, with lots of wonderful dog walking right on the doorstep. The cottage has a securely fenced and enclosed rear courtyard garden which canine guests can enjoy in safety. There’s a separate information file especially for dog owners with Ordnance Survey maps and details of local walks, including ones to the nearby villages of Temple Grafton (where William Shakespeare is reputed to have married Anne Hathaway), Ardens Grafton or across the fields to Stratford-upon Avon. There’s even a Visitor Book especially for dogs, where canine guests can share their tail-wagging holiday experiences! Seasonal prices from £160 for a weekend (£425 a week) and a £25 charge per pet. For a quintessentially British pub with a quirky, country twist, you’re gonna need a quirky country dog. 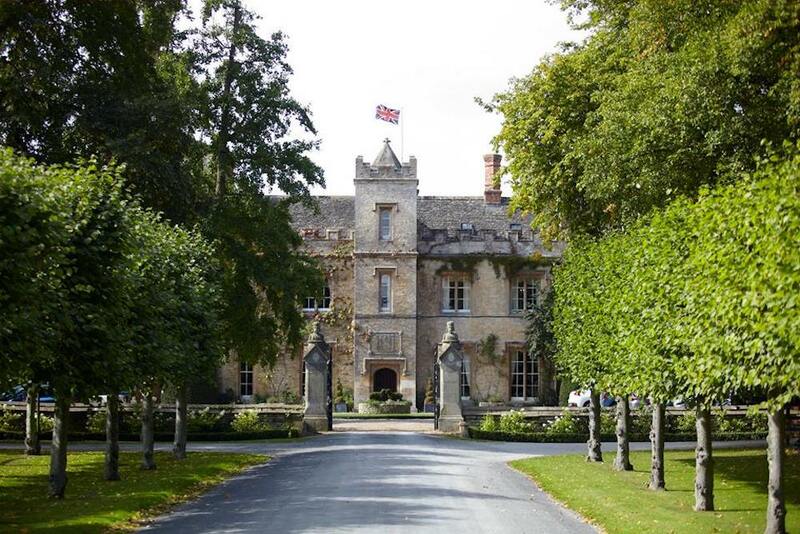 OK, a pooch in your Pucci will do – either way, your canine cutie will be treated well (and probably with lots of cuddles) at this gorgeous gem in the heart of the Wiltshire countryside. 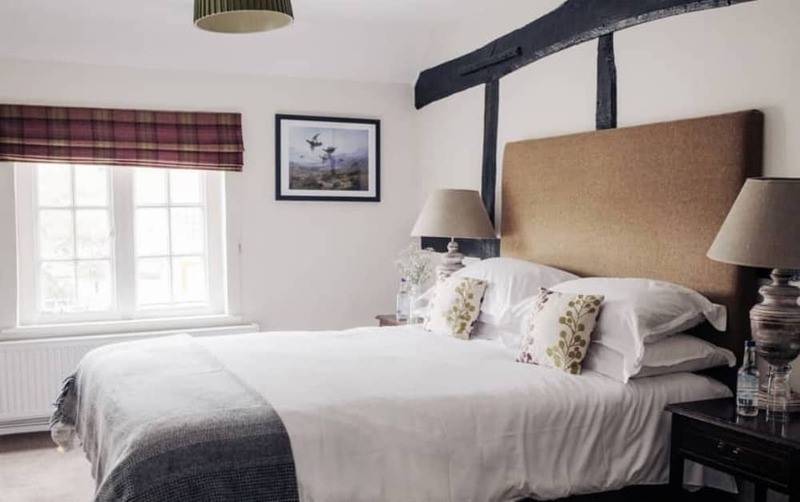 The Bath Arms is a foodie pub in a stonkingly gorgeous location only a stone’s throw from Longleat (might want to keep Rover in the car when you’re off to see the monkeys) but also perfect for those wanting a posh pub with rooms for you and your bundle of fluff. Dogs are welcome here as part of the family, both in the pub and the 17 cosy characterful rooms; comfy dog beds, bowls and treats can be placed in your room, and with a gazillion walks right on your doorstep, could this be Wiltshire’s finest dog friendly gaff? Classic rooms from £65 per night plus £20 for dogs. On the Wiltshire/Dorset border this traditional shooting inn is perfect for a stay with your four-legged friend. The thatched tavern dates back to the 17th century and smacks of English country pubs, rural idylls, rolling hills….wait, is that Gabriel Oak I see wandering over that there shady dell? Sorry, back with you…The Museum Inn is a fave spot for local food connoisseurs and a true doggy paradise. With walks through pretty villages and picture-perfect cottages, it’s a tail-wagger’s wonderland. All 8 bedrooms are dog-friendly, as well as Moles Cottage, which sleeps up to 16. Dogs are welcome in the bar and conservatory when you’re slurping the gin or guzzling from the 2AA rosette menu. Rooms from £100 per night.